Tribbs will challenge your mastery of basic math facts. Better than worksheets, more fun than flashcards. Use any combination of addition, subtraction, multiplication, and division to find three numbers that you can make equal the Target Number. Think fast: time’s ticking! 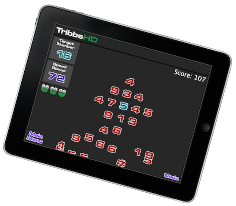 Try Tribbs Lite, it's free! 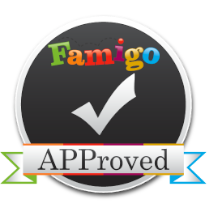 "My kids had never thought this hard!…FANTASTIC for team work!" "A great brain teaser for kids."